Merchants on Amazon an often suffer from identity loss. How can we be seen? Who are our customers? Why aren’t we shifting stock? One agency is helping these Amazon sellers increase rankings, sales and awareness beyond the busy marketplace, by tapping into the burgeoning micro-influencer market. Established in 2018, Stack Influence is one of the first influencer agencies catering to established Amazon brands. Brands give away products at scale in exchange for social media posts, product feedback and video testimonials from the agency’s network of vetted micro-influencers. 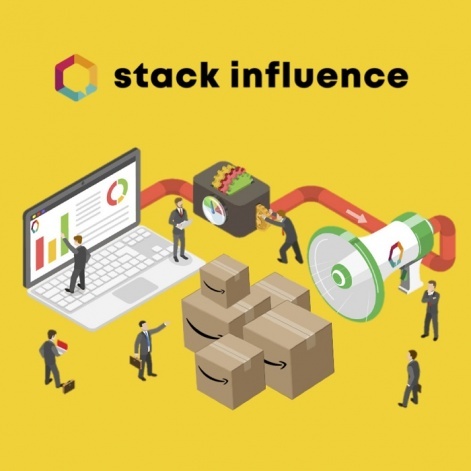 Founded by a group of seasoned Amazon sellers with a decade of e-commerce experience, the Stack Influence team now have access to more than 10 million micro-influencers across the US. 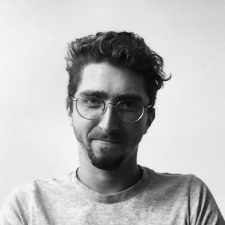 Co-founder and chief marketing officer William Gasner talks to InfluencerUpdate.biz about the difficulties faced by sellers, the micro-influencer community, and Stack Influence’s Amazon-focused approach. InfluencerUpdate.biz: Hey William. First of all - what are the biggest challenges Amazon merchants are facing? William Gasner: Amazon sellers’ biggest problems stem from building a brand. Many of them, even those making six-figures per month, don’t have a strong brand presence because, in the past, success on Amazon could be found by having positive reviews and a high ranking. Merchants also encounter difficulties managing product giveaways at scale. As with any scaled project involving humans, finding a large percentage of influencers to actually fulfill campaign promises can be difficult. How can working with micro-influencers help struggling Amazon sellers? 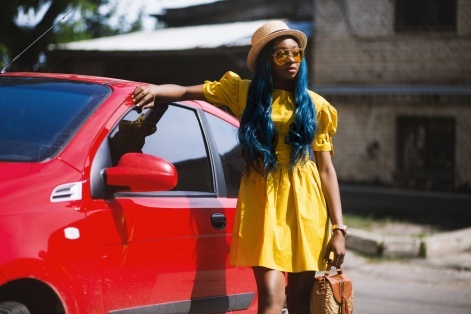 Micro-influencer followers often consist of a mixture of family, friends, close associates and loyal fans who share a genuine interest in the niche the micro-influencer is posting about. Working with micro-influencers decreases a brand’s risk by allowing them to diversify and hedge. They often have high engagement levels compared to larger influencers. They know their audience well and their followers trust their opinions, since they’re relatable and interact with their audience regularly (i.e. normal people and not celebrities). As opposed to hiring one mega-influencer with hundreds of thousands of followers, working with micro-influencers decreases a brand’s risk by allowing them to diversify and hedge. Micro-influencer campaigns create lots of user-generated content and increase customer engagement while having the same cumulative reach as one larger influencer. For example, if you ran a campaign with 100 micro-influencers, each having 5000 followers, your total campaign reach would be 500,000. This would be around the same following reach as one mega-influencer, but with much less risk, more added value and higher engagement levels. Micro-influencers are also much more likely to follow up with post comments and discuss the pros and cons of the products they promote - large influencers usually don’t have time or desire to do so. How do you find the micro-influencers you work with? We use a variety of social media APIs to develop our micro-influencer community and have access to roughly 10 million social media influencers. We organise the micro-influencers we source into specific niches using psychographic analytics, which take bio and post keywords and hashtags into account. In your opinion, what makes a ‘good’ micro-influencer? Firstly, they’ll be a social media user with 1K - 20K followers, promoting to a specific niche audience. They should have 5 per cent+ engagement (average likes + comments per post / total followers), be responsive with their audience by following up on comments and facilitating conversations, while producing quality content in the form of high-res photos, good aesthetic and intriguing copy. What’s your advice on working with micro-influencers? If you’re a small brand looking to work with a few micro-influencers, I’d recommend doing a manual search on Instagram. Look up specific hashtags related to your product niche and identify social profiles with the characteristics previously specified. Send them direct messages on Instagram asking if they would be willing to promote your brand in exchange for receiving one or two of your products for free (depending on the cost and value of your product). This strategy works relatively well for running a small product giveaway campaign. How much creative control do you give micro-influencers in your own campaigns for clients? Depending on the needs of our clients we’ll either give our influencers full creative control over the content they produce, or we’ll require them to be very specific with their content and promotional strategy. Generally, every campaign has a few requirements, including promotion specific hashtags (abiding by the new FTC regulations), product-related hashtags and brand profile @ tags. However, we always give our influencers some layer of creative control - we've found authenticity performs much better than completely fabricated promotions. How much does a campaign with Stack Influencer cost? We charge our clients a management fee for each influencer involved in their campaign. We also offer a few campaign enhancements like highly targeted niche options, product feedback research services, video content creation, high-res image accumulation, and expedited campaign timeframes. Campaigns start out at $7500 and will often reach $50k - $100K for multi-month campaigns. How do you track your micro-influencer campaigns? For all our campaigns we track social media reach (post impressions) and engagement (likes and comments). We’ll also break down our influencer’s audience into specific demographics (age, gender, etc), psychographics (interests) and geographic locations (country and state). We then calculate the total influencer monetary value (IMV) for our campaigns. The IMV is calculated based on an average value linked to social engagement levels which takes impressions, comments and likes from influencer posts into account. If you’re a small brand looking to work with a few micro-influencers, I’d recommend a manual search on Instagram. Look up specific hashtags related to your product niche. The IMV allows us to calculate a measurable ROI. For our enhanced campaigns with link sharing, we track the accumulated website and product link clicks and calculate CPC (cost per click) for our clients. What’s your vetting process for matching merchants with micro-influencers? We vet our influencers extensively, making sure they’re promoting content and have audience psychographics tailored to our clients' niche. We ensure they have an audience who would be interested in our clients' products, and that they are located in a desired geographic location. We also make sure they have our required following base ratios, that all of their followers are “real” (we use a proprietary software to analyse for fake social accounts), and that they have high engagement levels. Last but not least, we make sure they actually want the product they are promoting. Are all influencers happy just to receive free products? Most of the influencers we work with only receive free product in exchange for participating in our campaigns. We only choose products that we believe our influencers will value and make sure they’re in an ideal price range so our influencers are properly compensated for their campaign involvement. We do occasionally run paid promotional marketing initiatives where influencers will receive a monetary payment in addition to a free product, depending on our client’s campaign budget. What are your plans for Stack Influence in the future? We’ve recently begun prospecting in the book industry and are currently in talks with some publishers to assist with book release marketing. Book sales are huge on Amazon and we’ve found that influencers love promoting on social media. Right now, we’re leading the charge helping Amazon sellers with influencer marketing. Soon, we’ll be expanding beyond online marketplaces and into e-commerce as a whole - we plan to establish ourselves as the go-to micro-influencer agency.